Hurricane Isaac is casting his wet shadow on my home state of Louisiana where I live part of the year when I’m not residing on the Cumberland Plateau in Tennessee. Like many Louisiana residents, I remember Katrina and her destructive effects on people and property in the bayou country. For six weeks following that killer storm, I directed a clothing operation at Solomon House, an outreach mission of the Episcopal Church of Epiphany in New Iberia, and ministered to those who escaped the deluge in New Orleans, seeking higher ground in Acadiana. Although New Iberia has not felt Isaac so far, I cringe when I think of the violent whirlwinds that have disturbed Acadiana in the past. New Iberians live near the Gulf of Mexico, a relatively shallow body of water with no chilling ocean currents running through it, and this shallow depth allows water to heat up to 85 degrees in the summer, so that the warm water can spawn a hurricane at approximately 80 degrees. As the heat from condensation causes the air in a hurricane to rise rapidly, the hurricane becomes a big wheel containing turbulent winds. And devastation occurs. As far back as 1722, a hurricane demolished the new settlement of New Orleans, and one of the most memorable hurricanes was the storm on August 10, 1856 that struck Isle Dernier or Last Island. This hurricane caused high storm tides, killing hundreds of people reveling at a dance in a hotel called “The Trade Winds” and destroying every building on the island, as well as most of its vegetation. The devastation inspired the famous novel, Chita, by Lafcadio Hearn. 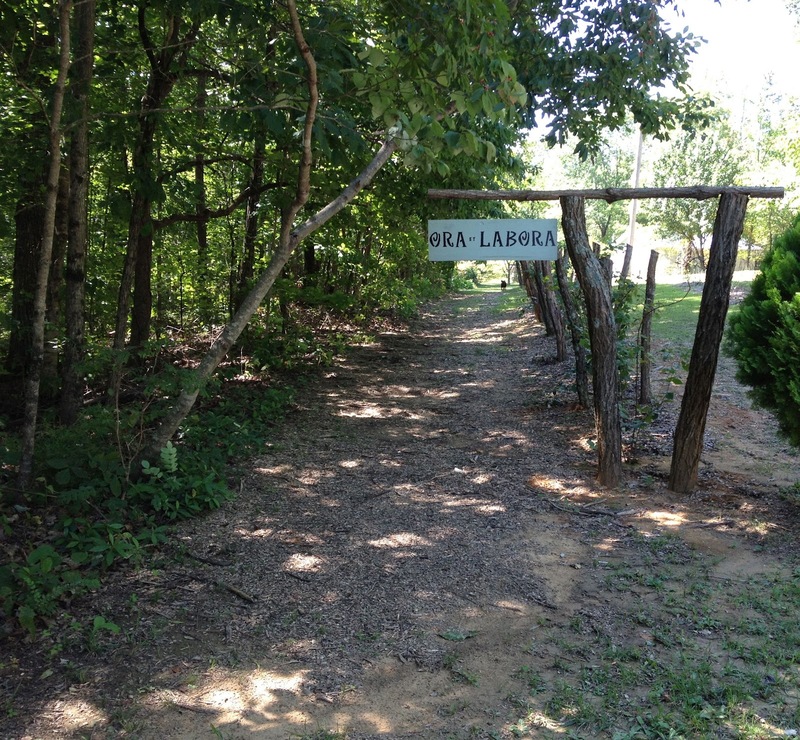 Today, Last Island is an uninhabited beach containing little vegetation. 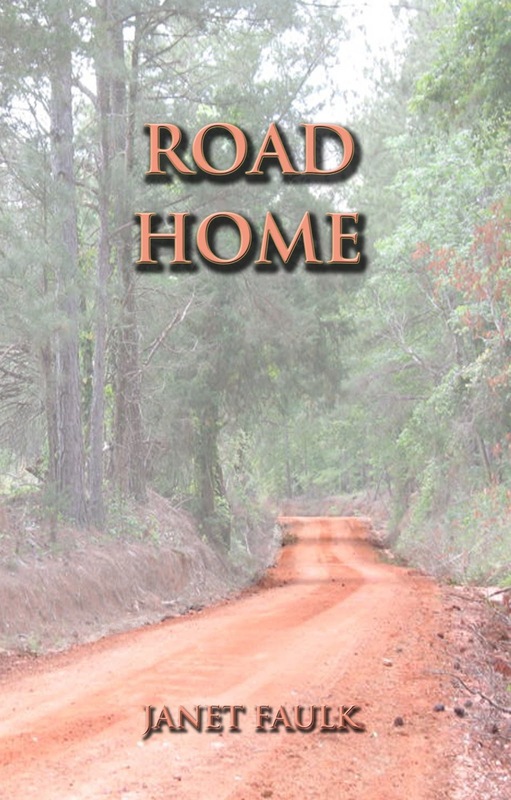 Hurricanes appear in three of my Young Adult fiction books and provide active settings that derive from my experiences of major hurricanes that struck New Iberia–Hilda, Betsy, and the worst, Andrew, when I sat huddled in my home while the wind vibrated the walls of my house like a giant accordion. Papa Melancon bests Petite’s story with one of his own. He claims that at one time when hurricanes blew in, Sumatrans ran from their houses armed with swords and lances to cut up the winds. Petite’s papa explains that the word “huracan,” which means “God of All Evil,” is derived from Indian tribes in the Caribbean, the Tainos, who thought that on many occasions Huracan got angry with them and tried to blow them away. You’ll have to read what happens to Petite Marie Melancon during her hurricane adventure in The Kajun Kween, but I don’t advise anyone to test the intensity of the Big Wind, as Petite attempted to do. Meanwhile, we assume the position of “hunkering down” in sympathy with our Louisiana friends and family and pray that Isaac will take his winds to some other body of water or deserted island, settling his terrible rotary disturbances there. The illustration at the beginning of this blog is a clip from a drawing by Paul Schexnayder, New Iberia artist, and appears in The KajunKween. 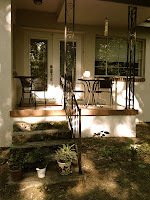 Each evening in late summer, we schedule porch sitting time, a time when we relax and enjoy slight breezes while sitting in the shade of enormous oaks and a lone maple tree. Our front porch in Sewanee, Tennessee is actually a back porch facing the woods on our property and is a far cry from the broad gallery of my grandmother’s day. Grandmother Nell’s gallery was a wrap-around porch that held tall-backed rockers, pots of pale green Boston fern, and a green slat-backed swing that creaked when we pushed it back and forth with our bare feet. From the vantage point of that porch, my grandmother could see everyone who drove by on Tenth Avenue, or walked on the sidewalk in front of her Victorian house with its cupola that boasted one stained glass window. Those “passings” supplied topics for evening conversations. Porches of any kind incite nostalgia in me, remind me of evenings at some outdoor retreat where cool drinks are served and of the old custom of serving mint juleps on the verandah at Belmont Plantation in New Iberia, Louisiana. On the long porch, painted a forest green, at 5 p.m. daily, the Wyche family gathered with friends for evening libations and to tell family stories or to discuss politics, food, and books. I might add, there was never any silence. “Big Jimmy’s” special mint julep held a sprig from his own patch, and he claimed that if a man couldn’t grow the plant, he was hen-pecked. I have no clue regarding the origin of this story, nor do I understand why a man’s ability to grow mint depends on his relationship with his wife. While thinking about Jimmy’s cool libation, I remembered my father’s love of mint and the many patches he had grown near the porches in my childhood, and even into adulthood, the last patch being beside a screen porch in Franklinton, Louisiana. During my father’s demise, he sat on that porch daily, winter or summer, a melancholy figure looking out at his backyard garden of pole beans, tomatoes, lettuce, and field peas, silent and suffering from the lung cancer that would take his life. In several of the books I’ve written, I mention that he did indulge in sudden outbursts while sitting on the screened porch – recitations of “Invictus,” in which he claimed he was the “master of his fate, and the captain of his soul,” believing that he could control both his life and the time of his death. He was wrong, of course. a space of its own forever. a mint leaf drooping from frosted rims. At St. Mary’s Convent, Sewanee, Tennessee, where we worship when we sojourn on The Mountain, the Sisters of St. Mary observe the Benedictine Rule in the same manner as St. Benedict’s early followers – praying at prescribed times during the day and studying scripture. And in the realm of work, they cook, preserve food, clean the kitchen, offer hospitality to those from the outside world who worship with them, (as well as to dogs and cats) and raise vegetables and fruit for their table and for the tables of the needy. They have always maintained a garden, and at one time, their work included raising cattle. Just last week, The Sisters were awarded a grant by the Jessie Ball DuPont Foundation to support a project called the Organic Prayer Project, a joint effort between the Center for Religion and the Environment at the University of the South and the Sisters of St. Mary, Sewanee. 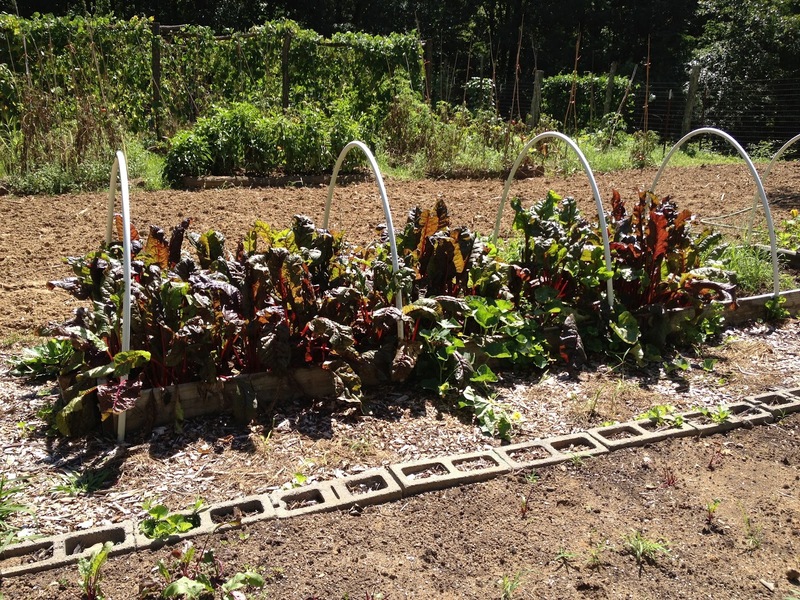 Under the direction of Michael Thompson, a Benedictine oblate, the grant will allow the Sisters to expand their vegetable and meditation gardens by providing funds for a well, drip irrigation, and for seeds and plants. “The grant will allow us to upgrade our kitchen so we will be able to can garden produce on a greater scale and to make a meditation trail/wildlife sanctuary on our property off St. Mary’s Lane,” said Sr. Julian, sister-in-charge of St. Mary’s. 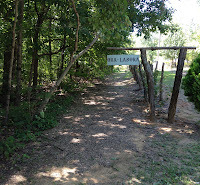 In 2013, the Sisters plan to maintain a pasture and a barn, and to provide feed for sheep, alpaca, and, perhaps, goats. “A goal of the Organic Prayer Project is to generate love and respect for God’s creation and to look at ideas such as sustainability and good stewardship of the earth,” Sr. Julian added. “The project will provide hands-on experience for students involved with the Center for Religion and Environment and hopefully for the Episcopal Service Corps. It will also provide opportunities for individuals and groups, such as seminary students, to prayerfully encounter God’s creation. 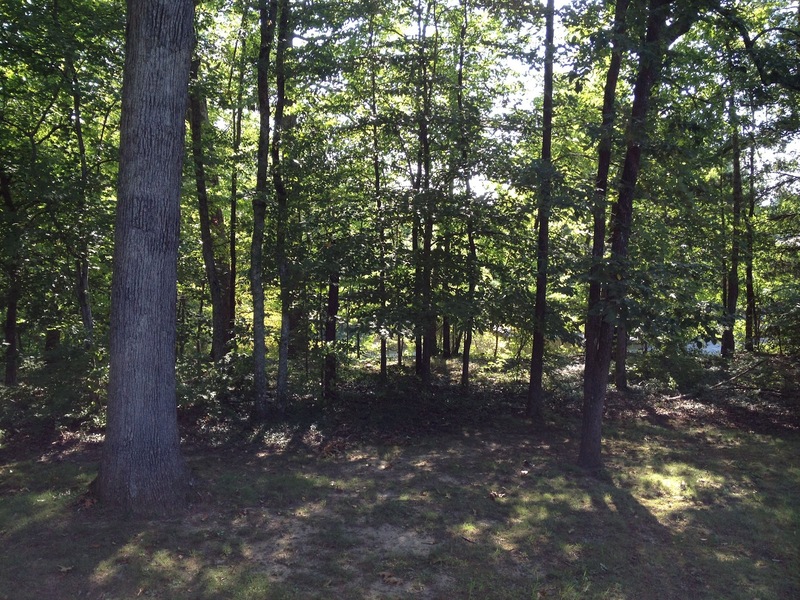 We plan to use the site for formal retreats.” Another goal of the project is to generate income from sale of canned goods, wool/yarn, and cheese. “We hope to widen our involvement with, and service to, our community of Sewanee and the wider world, and at the same time provide a solid financial structure for the convent,” Sister Julian said. 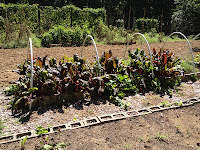 For those of us who aren’t savvy about organic gardening, the phrase means to improve and maximize the health of the garden soil and to produce healthy plants without using synthetic commercial fertilizers, fungicides, or pesticides. Congratulations and kudos to the Sisters for obtaining this grant and for making all of us in the post-modern world aware of St. Benedict’s Rule regarding the stewardship of the earth. Every Spring when we return to The Mountain, I hanker for gardens and to dig in the dirt, and I manage to plant a small flower bed at the entrance to the cottage. This year, the garden struggled through the worst of July heat and has been revived by late summer rains. I haven’t had to replant; however, perhaps I should! 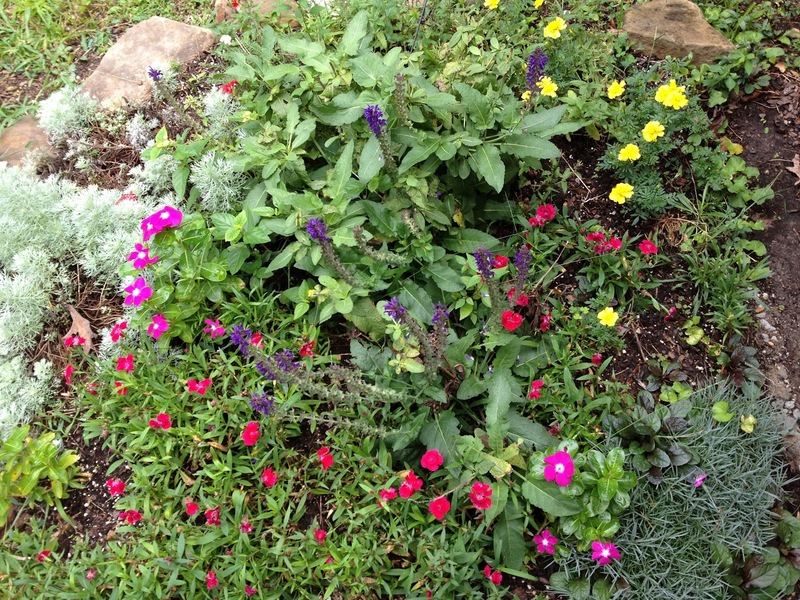 My good friend, Janet Faulk-Gonzales, is a consummate gardener and used to create a flower bed for us exactly on Good Friday every year when she lived in an apartment adjoining our Louisiana home and dug her own garden. This morning, she sent me an e-mail with gardening information excerpted from Plant Delights Nursery that had been forwarded to her from a friend in North Carolina. According to a newsletter from the Plants Delights Nursery, a study done at Bristol University and University College London has shown that dirt is a good anti-depressant. It seems that a soil-borne bacteria, Mycobacterium vaccae, has the properties of an anti-depressant because it causes brain cells to produce high levels of serotonin, which most of us know is the “happy hormone.” I suppose that you really have to get a lot of dirt under your fingernails to get the best effect for mood elevation, but I believe that the researchers are probably right – all the gardeners I know are happy gardeners. “Hide and Seek,” and other never-find-me games. 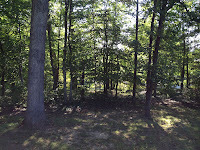 In the daytime, the backyard always provided shady places for picnics of outrageous pickle sandwiches, Oreo cookies, and Coca-Colas in eight-ounce, thick, green glass bottles. One of the coolest places was under the pomegranate tree near the back door of the house. I remember not liking to eat the pomegranate so much as I loved its rich red coral color dotted inside with hundreds of brown hard seeds. Along the old rickety "bob-wire" fence on the east side that separated our yard from the yard of a haunted house, heavy round, orange-gold plums grew. Farther down, there was a blackberry thicket where delicate white blossoms turned into purple juicy fruit. “A perfectly rectangular garden bordered by yellow and orange marigolds, both giant and dwarf varieties, covered the farthest edge of the backyard. By design, the marigolds helped keep pests from the vegetables, but to my delight, the flowers drew summertime butterfly dancers, mostly yellow ones, and sometimes the orange and black or blue and black Monarchs. “Tomatoes grew tall, their thin stalks made sturdy by tying them to wooden stakes with worn out stockings. Summer squash plants grew as wide and round as the kitchen table, with blossoms that turned into yellow crooked necks. When stewed down with onions and black pepper, these vegetables became the smell of summer supper cooking. “There were always green beans and tiny butter beans, just enough in our garden for a “mess.” Okra grew tall and prickly, waiting to be cut, floured, and fried…I begged for my okra to be fried to dark brown, just barely burned. “The backside of the garden was strung with shiny tin pie plates that reflected sunlight to scare off birds. There were enough tassels to allow pollination of the corn that grew at the edge of the garden, running perpendicular to the other rows. Sometimes a watermelon vine or two threatened to spread and conquer the entire garden, but was worth the trouble when you found a thumping ripe melon with smooth, green variegated rind and anticipated the cold, sweet juice that dried sticky on your face after you had eaten so much chilled melon you thought your stomach would pop. Hope this message from a southern gardener incites visions of digging in the dirt and getting your shot of serotonin via rich soil. Happy gardening! 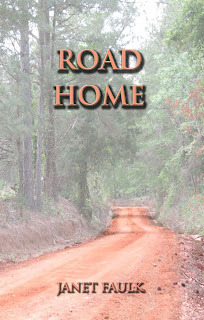 Select The Road Home by Janet Faulk-Gonzales to order or write to Border Press, P.O. Box 3124, Sewanee Tennessee 37375. 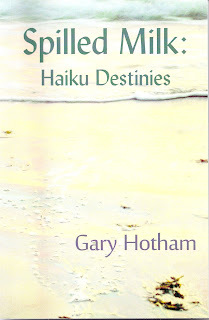 So when I picked up my mail and found one of Pinyon Publishing’s award-winning books of poetry in my mailbox, an hour later, I was deeply immersed in this book of well-crafted poems entitled Spilled Milk: Haiku Destinies,” written by Gary Hotham, a book that emphasizes the brevity of language in haiku. As I read the pithy, quiet lines, a bit more peace entered my world, and I finished the book in one sitting. As I’ve just returned from a time when I looked out of hotel windows every morning, I was drawn to the succinct lines: “enough sunrise—/a small window/in an old hotel.” The poem encapsulates the first moments of pulling back the curtains to peer at a sunny day from the vantage point of a venerable motel room where a person may not wish to be, but the sun and promise of a new experience makes the hotel room seem bearable. 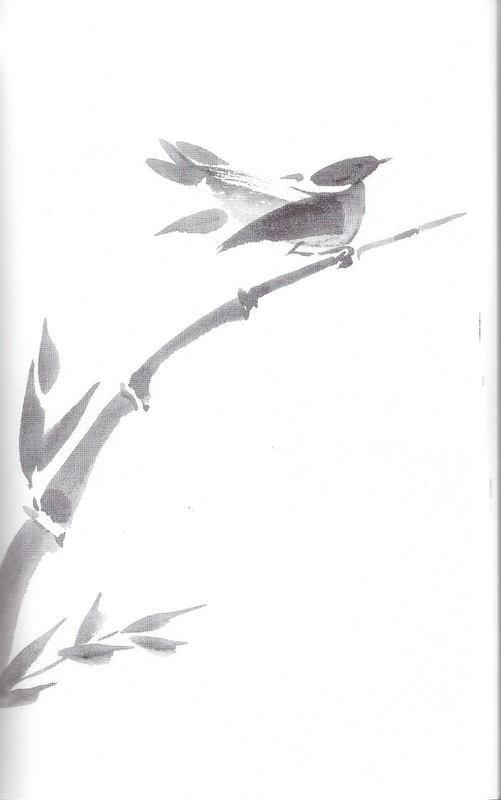 Spilled Milk: Haiku Destinies contains over 100 of these metaphysical gems, and is interspersed with section pages of Susan Elliott’s lovely black and white paintings of birds and plants rendered in simple brush strokes, Oriental style. The two spare renderings of poetry and art complement each other in a volume that will give readers moments of peace and insight. The introduction and essay at the end of the book provide entry into the realm of haiku and the art of creating short words in short poems. The entire book is a commentary on the art of being quietly alive and stands in antithesis to the experience I mentioned above concerning the world’s noisiness. 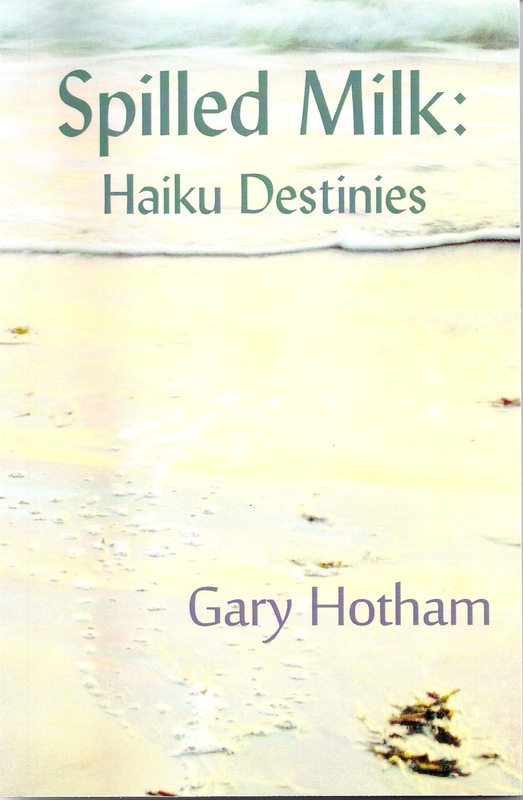 Gary Hotham was recently awarded an Honorable Mention in the Summer 2012 Mildred Kanterman Memorial Merit 2011 Book Award competition sponsored by the Haiku Society of America, which honors excellence in published haiku, translation, and criticism. Spilled Milk: Haiku Destinies rates another cudo for Gary Entsminger, Pinyon publisher, and award-winning poet Gary Hotham – and brava, Susan Elliott, for capturing the haiku moment with your deft brush! 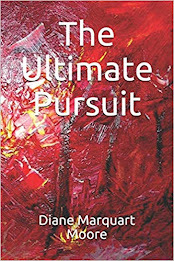 Order from Pinyon-Publishing, 23847 V 66 Trail, Montrose, CO 81403. Georgetown is a charming area in northwest Washington, D.C. that gives the word "diversity" full meaning. Its unique architecture includes old stone houses, Georgian brick residences, and early Federal and Classic Revival homes interspersed with numerous attractive row houses. I'd define the cuisine in Georgetown as "global," ranging from Belgian and Asian dishes to classy French menus offered at numerous excellent eating places. The population includes Salvadorans, Asians, Hawaiians, African Americans, and many other ethnic groups who add to the colorful diversity of the area. Among those notables who live in Georgetown and contribute to its diversity are two of my favorite friends, Jane Bonin and Fred (Freddie) Begun. 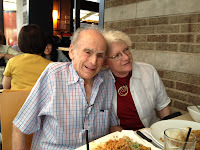 We lunched with them this week at the Raku Restaurant on Q Street in Georgetown. The previous evening at Jane's apartment on Q Street, Freddie had read aloud an entire food review in the Washington Post, interjecting wry remarks about the touted menu items and the elite prose describing those items. He was doing one of his favorite activities – performing! 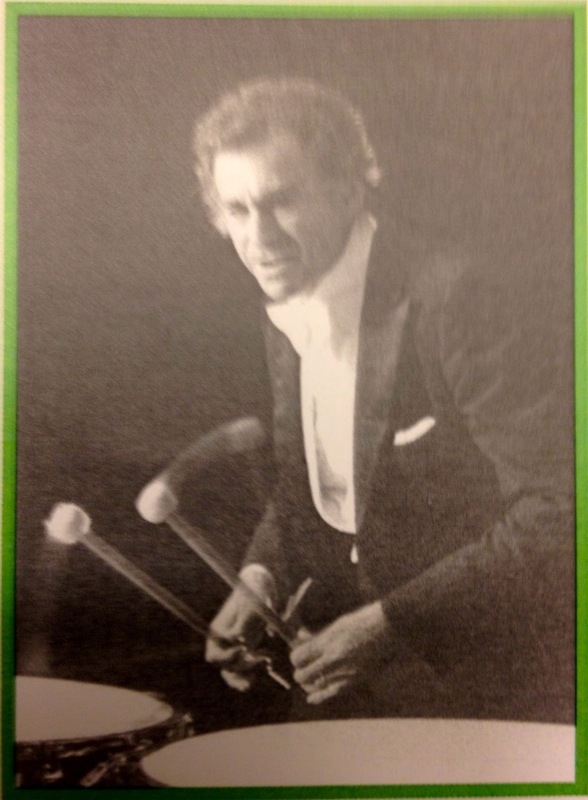 For 48 years, Freddie performed as the major timpanist of the National Symphony in Washington, D.C. under the batons of some of the greats in the music world: Copland, Rostropovich, Stravinsky, Slatkin… and his performances often equaled the dramatic renditions of these renowned conductors, especially the performances of the ultimate conductor (who was Freddie's favorite), Leonard Bernstein. "I was noted for my 'balletic style'," Freddie said, explaining that he often leaped about while playing the timpani. He executed this style while premiering five timpani concerti and while touring the world to perform in such places as the former Soviet Union where he played in a historic series of musical performances. This Spring, George Mason University, the College of Visual and Performing Arts, and the School of Music presented a Percussion Celebration to honor the "Extraordinary Musical Career of Fred Begun." The University has established Fred Begun Percussion Scholarships and given the percussion studio at George Mason his name. In appreciation, Freddie donated to the George Mason Fenwick Library his entire library of timpani parts and scores, many of which are autographed by famous conductors and composers and containing Freddie's original markings. Freddie also made a personal financial contribution to help maintain the collection. Freddie Begun began studying percussion instruments when he was 11, playing the snare drum throughout high school, then entered Juilliard School from which he graduated. He taught at the Peabody Conservatory in Baltimore, Maryland and mentored many distinguished timpanists who're performing in the music world today. He also authored 21 Etudes for Timpani, pieces designed to teach students how to enhance their technical and musical skills. "Some of the musicians today are technically proficient," Freddie said, "but they aren't actually involved with the passion of music. This seems to happen because some of their teachers feel that way. They think the older generation is too schmaltzy." Nowadays, Freddie continues to mentor timpanists and has just completed his manuscript entitled Playing Outside the Box, a memoir devoted to reminiscences about playing beyond the written score – "performances for which I was infamous," he said. Freddie's companion, Jane Bonin, is a long-time friend of ours, a former professor in the English Department of the University of Louisiana at Lafayette, where she was honored as Distinguished Professor during her tenure there. Jane was one of the founders of the Eavesdrop Theatre in Lafayette and "Open Space," a showcase for student playwrights. She authored a play produced Off-Off Broadway and wrote a definitive biography of playwright Mario Fratti, as well as Prize Winning American Drama and Major Themes in Prize Winning American Drama. Jane and Freddie share a love of drama and music, and Jane studied voice in Washington for years after returning stateside from Africa. She's now working on a memoir of Africa, excerpts of which have appeared in her blog entitled "The Color of a Lion's Eye." She served two stints with the Peace Corps – as a Country Director in Niger and as a Deputy Director in Malawi. "I'm proud of my work there," she said. "Hilary Clinton just today singled out the Peace Corps as having the model program that will heal HIV-AIDS. One third of the population was infected with this disease when I was there. I loved Africa, but it was my first experience with extreme poverty, and it was overwhelming to someone who had formerly been a cloistered academician." During the 80's, Jane actively promoted The Hunger Project, a global organization committed to the end of world hunger. Both Freddie and Jane deprecatingly refer to themselves as less than notable, but we think they're two of our most interesting and attractive friends who have contributed to the Washington/Georgetown community and to the world at large. We left them reluctantly, via the notorious I-95 before traffic began to snarl, to return to Williamsburg, VA where we're vacationing, but we're still talking about the wonderful visit with these two notables and plan to return for another celebration of our friendship next year.